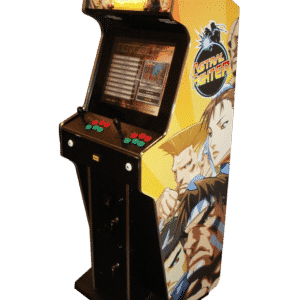 Our Astral Fighter arcade machines are loaded with all your favourite arcade fighting games including Street Fighter as well as retro classics Space Invaders, Pac-Man, Frogger, Donkey Kong and many more. Check out or arcade game hire section to rent this machine for your event. 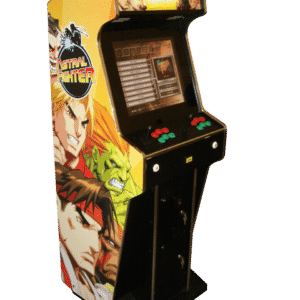 With over 300 games to play on with two-player controls, the Astral Fighter is the perfect arcade machine for your home, event or business. 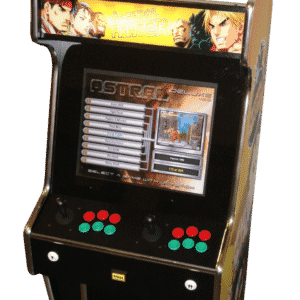 Contact Arcade Direct for Astral Fighting Arcade Machines hire or to purchase one of your own.